The flight from Martinique to French Guyana was $429, easily the most expensive 2 hours I’ve had on this trip. It was almost the same price to go from Martinique to Paris, and cheaper to ferry to St. Lucia, fly to Miami, fly to Paramaribo and then bus to Cayenne. But, for time efficiency, I chose to fly. I went from the indoor airport in Martinique, onto my plane, and into the indoor, airconditioned airport in Cayenne, only to notice a grasshopper the size of my hand clinging onto my scarf. I have no idea how he got there or how long he was there, but he scared the hell out of me when he started crawling down my shoulder in the baggage claim hall. Regrettably, my checked bag came out with a pocket open and a bunch of things missing, making the voyage even more expensive (Air Caraibes doesn’t have very good baggage protection terms). 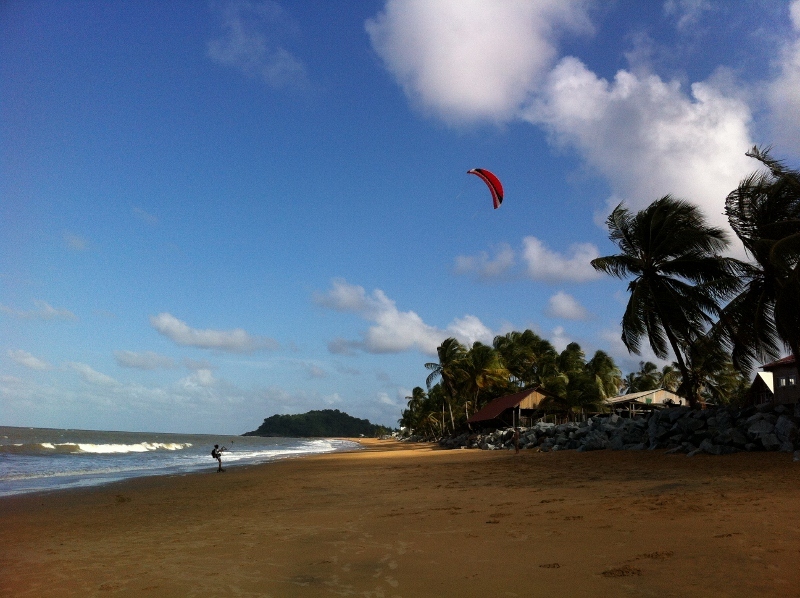 I spent my first few days in Cayenne, with friends of my Guadeloupian host. Alexis and Jonathan were both more than happy to host me since they each planned to visit Iceland, and have now made a friend and found a couch ready to welcome them in Reykjavik. They were both ‘metropoles,’ Frenchies from France who live in the not-so-metropolitan overseas parts of France. 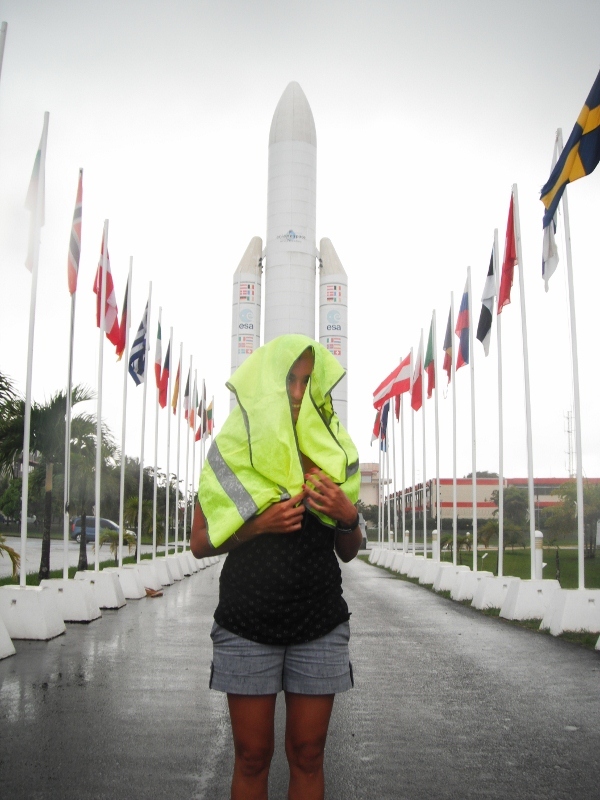 They were both civil engineers, working in construction, and Alexis had worked with the Space Station in Kourou building satellites. We visited the Space station, got up close and personal with a rocket, saw he rocket launch pads, and visited the Space museum, but unfortunately there was no launch planned and I still don’t quite understand how they get those huge machines out of our atmosphere and into outer space. Alexis explained the science behind it and tried to tell me how fast a rocket can travel, but all of the numbers and examples were literally uncomprehendable. He had watched a few launches and said the whole show is over in about 2 minutes, when the rocket is far out of sight and only the deafening sound still travels back to spectators ears. The earth shakes as much as a magnitude 5 earthquake, and the light and heat from the burning fuel required the closest observation point to be no less than 7 kilometres. 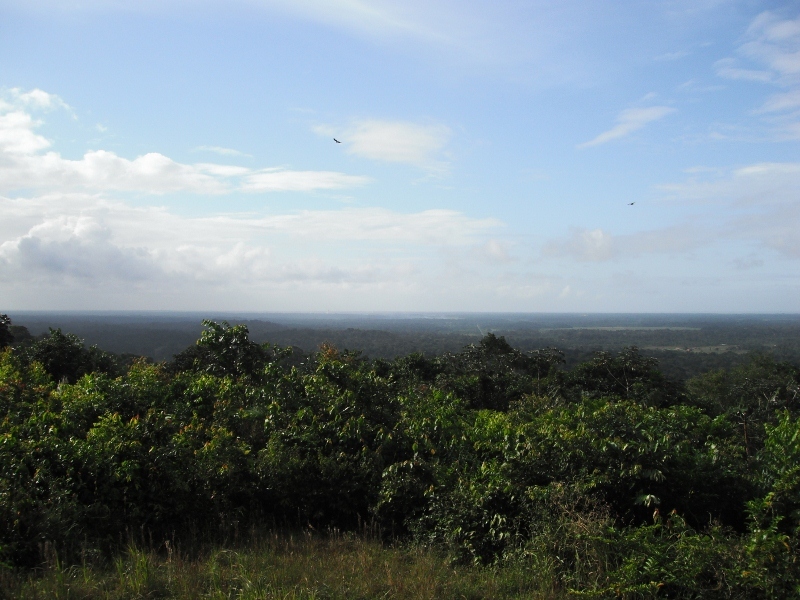 I arrived late in the evening to Cayenne and remember it was 32 degrees Celsius, and sticky humid. I couldn’t light a match because the match tips couldn’t stay dry. It was already the rainy season, and every day, torrential downpours would flash flood the streets and soak any unfortunate soul stuck without shelter. It happened to me on the beach, and eventually I gave up trying to shelter under a palm branch and went swimming instead. The water was even warmer than the air, probably 30 degrees at least. At Jonathan’s apartment in town, they suggested that I use the air conditioner, whose default temperature was 26 degrees. I’ve never even considered an air conditioner to function as a device to lower the temperature to 26 degrees – heaters are usually the machines pumping out equatorial heat to try and warm a room up to 22 degrees at most. But no, in French Guyana, you need coolers to keep the room temperature at a sweaty 26 degrees.